Since 1991, Med One Group has been making medical equipment available to the healthcare industry. With creative solutions, they offer equipment leasing and financing, rental options, sales options, asset management, and biomedical services. 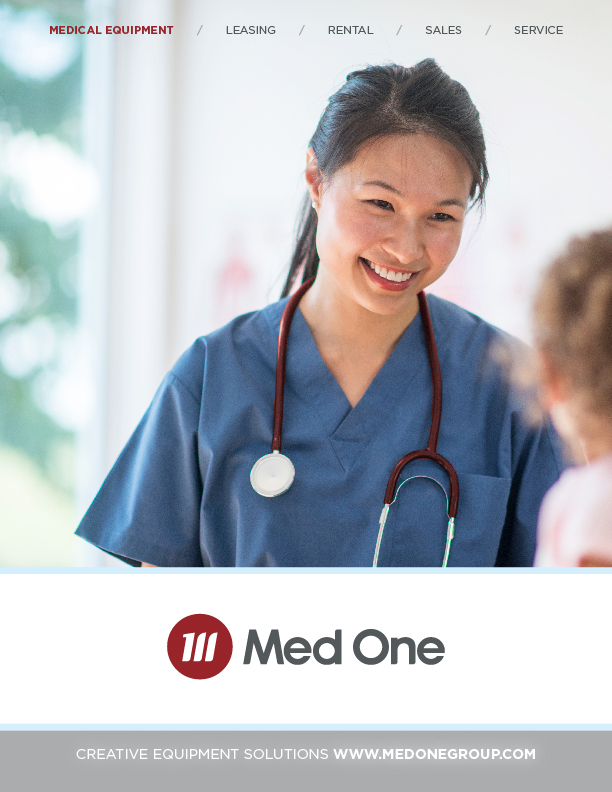 Based in Sandy, UT, Med One's portfolio successfully services relationships with more than half of acute care hospitals nationwide including many of the nation's premier health institutions. Specializing in critical care equipment, they constantly provide customized alternatives to traditional, capital intensive methods of acquiring necessary equipment. As Med One Group continues to serve health care institutions nationwide, they acknowledge the traits that have made them successful: Creativity, Simplicity and Responsiveness.